'Ouch, ouch ouch', that was me getting down the stairs on Sunday. But it was great to feel my quads again, as they've been on a sabbatical since November because an ankle injury has prevented me from running or taking part in any high-impact classes. And the name of my pain? TRX - a 'suspension' workout system that uses gravity and bodyweight to build muscle and core strength. 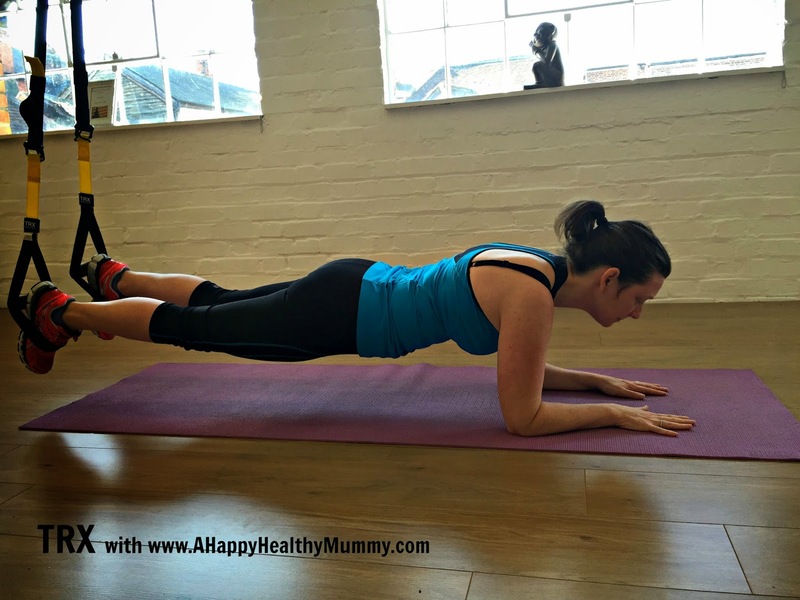 It's called suspension because you use long straps attached from the ceiling to your hands or feet to work through the exercises - be they strength, Pilates, plyometric or cardio-focussed. For some of the moves you will be standing - for others you'll be on the ground. It can also be adapted to all levels of fitness. I tried out TRX at a class run by Eileen Unwin of the GoWorkout collective. Held in local gym Expert Fitness Studio in the centre of Henley, the class is small and friendly - great if you're a beginner and wondering exactly where the straps go and how they work! After a warm up, Eileen took us through 3 'sets' of exercises - including moves most people would be familiar with such as squats, press ups, deadlifts, rows and the plank (and then finished with a cool down and stretch). TRX allows different parts of the body to be targeted - (so it wasn't just my quads that got a workout, I was also very aware my triceps had been put to work too) - and for the intensity to be increased depending on your own experience and fitness level. There is also an element of flexibility involved, as the TRX straps help you to perform rotational moves too. 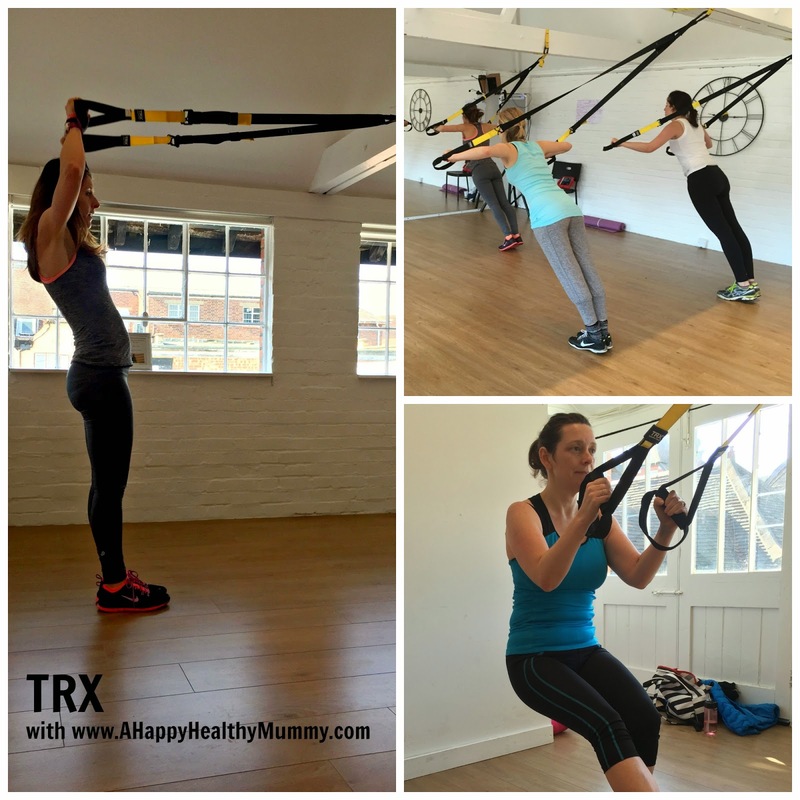 I was impressed by TRX - mainly because you can get such an intense and varied workout from just one class - and can focus on your core, strength and cardio at the same time (normally you might need to spread that out between three disciplines). In fact the efficiency and effectiveness of TRX is believed to be exactly because it uses these whole body movements, forcing your core to support you as you move through a one-legged squat for example. So then, it seems any time spent in these natty yellow and black nylon straps is definitely worthwhile. Well, if it's good enough for the US Navy Seals and JLo, then it's good enough for me! Over to you! Do you fancy giving TRX a try? 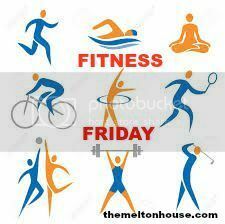 Is it just what you're looking for - or do you have another great workout that is helping your health? Let me know in the comment box below. Good to hear how it actually works. Hope to try it one day! Oh, go on, you know you want to! I'm really impressed by just one lesson. Yes, I think I've seen some of the one-to-one trainers using something similar with clients at my gym. There's some videos on youtube as well, if you fancy watching a full workout. Thanks for commenting. Hi, I guess that's why a class is a good place to start - so you get the technique right before you 'try this at home'! Thanks for the tip off though - it'd be a great workout for home too - to fit in when you are time-pressured, or want to regularly work on a particular muscle group. I imagine a lot of people might have a garage that has an overhead steel joist they could easily suspend the straps from.